Our beachfront cottages are open and blend in with the environment around them. All cottages have spacious en-suite facilities with flush toilets and showers. Due to the openness of the rooms there is also a small lockable store in each room for your peace of mind. 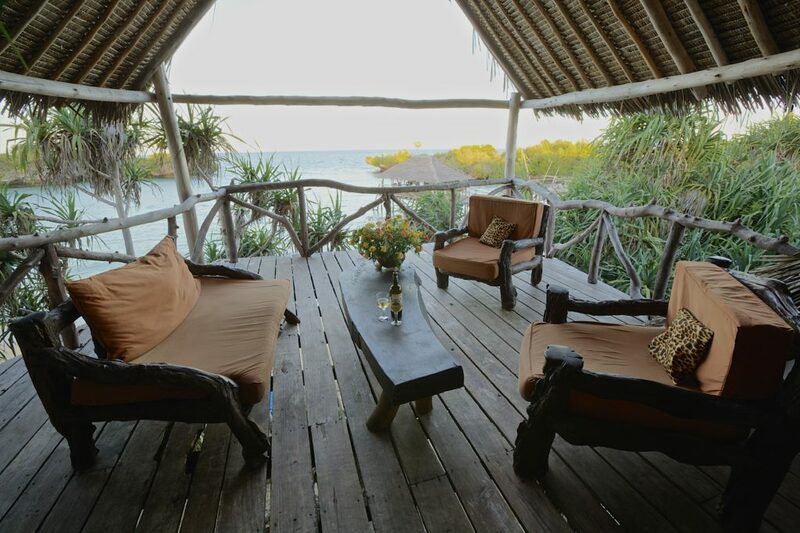 Our Bahari Suites and Cottages are double or single story, they have private verandas and spacious living areas. Wake up with the morning sun streaming into your room and views across the bay and onto the sea. The Family Cottages are two-bedroom units, with a king size bed in the main room and two singles/bunks in the smaller room. 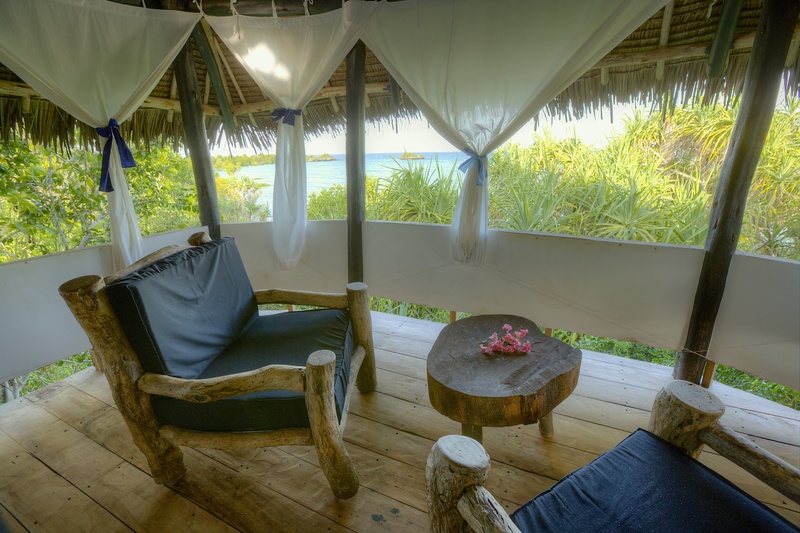 You will also have a private verandah, with unobstructed sea views and access to the beach. 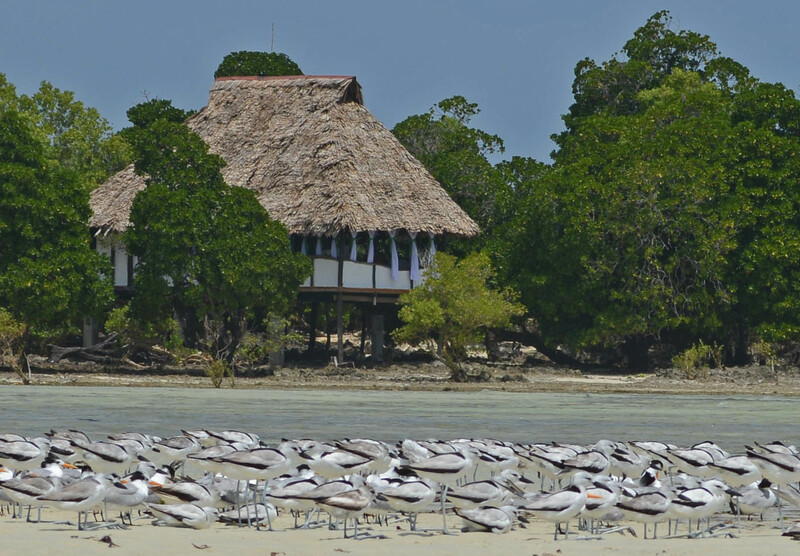 Named for the countless hermit crabs at Fish Eagle Point, the Hermit suite is tucked away at the end of a peninsula. It has a dedicated walkway through coastal forest and over a tidal mangrove pool. The suite has 270 degree sea views, a private beach and an indoor plunge pool. The Fishermans’ Cottages are slightly smaller and further back from the beach. 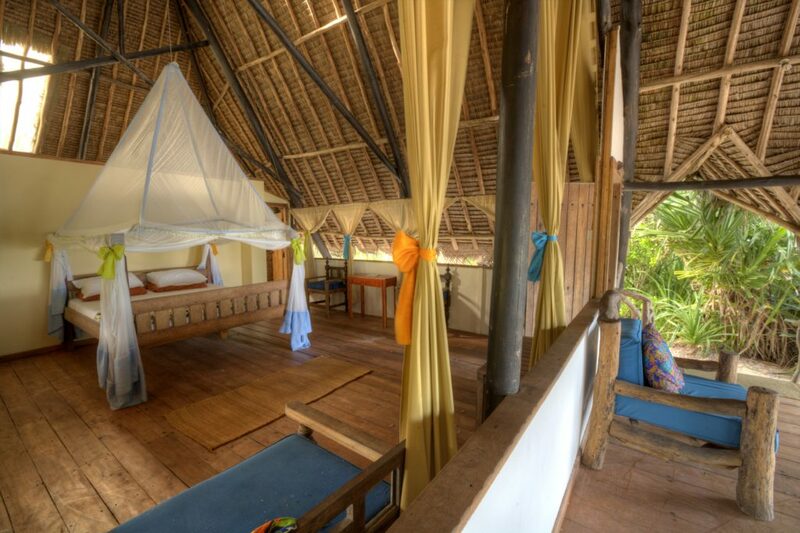 Enjoy being surrounded by pristine coastal forest and waking up to birdsong. Please contact us for rates as they vary seasonally. Our full board rates include breakfast, lunch, dinner and an all day tea and coffee station. Children under 16 are half price and under 3 free. We welcome families and can provide baby cots with nets, please kindly let us know in advance if you require one. We accept payment by cash and card, although card payments do incur a bank fee.